A vision statement for a company or organization focuses on the potential inherent in the company’s future, or what they intend to be. Your vision statement tells everyone the future your organization envisions. A good vision statement provides a clear focus and direction for your organization and can inspire your community. Vision statements give new and ongoing supporters a clear concise understanding of your purpose, before looking at your website, before attending any event or providing any support. 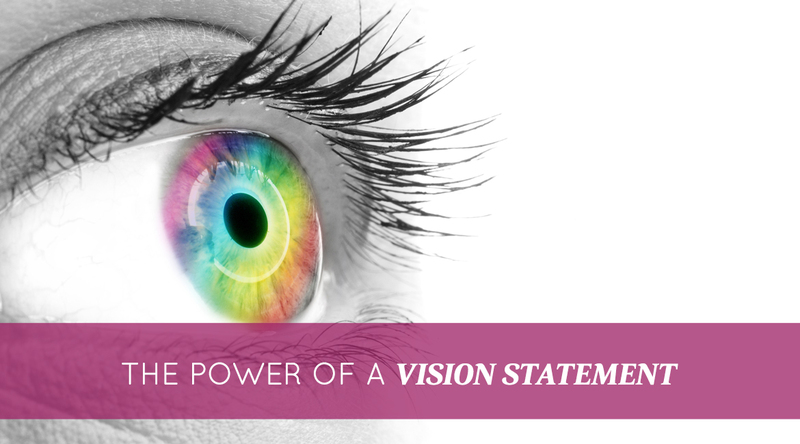 What does your vision statement need to say? Your vision statement can be meaningful first impression, a memorable phrase that condenses what you do into why you are doing it. As a guide: A good vision statement can be viewed as a map leading everyone to where your strategic planning and programming is organized to go, your organizational goal. As a reminder: You’ll know you have good statement when you can look back at it subsequently and it still shows where your organization is headed. As inspiration: This is important for volunteers, new supporters and board members. An inspirational statement can help maintain focus working toward a common purpose,’ the eyes on the prize’. As boundaries: Although growth is important, it is important not to wander too far of course. A big part of good vision is maintaining that focus on the long term objective. As a beacon: Because it focuses on the future, a vision message reminds us of the ultimate goal and why we do the day to day work of mission delivery. Your vision statement is your calling card: it tells everyone what is important and what you ultimately seek through your work. Make it a good one. Need help finding those words? It can be hard sometimes, but it is crucial to get it right. Let us help. Call today, 310 828 6979, let’s make an awesome one for you.